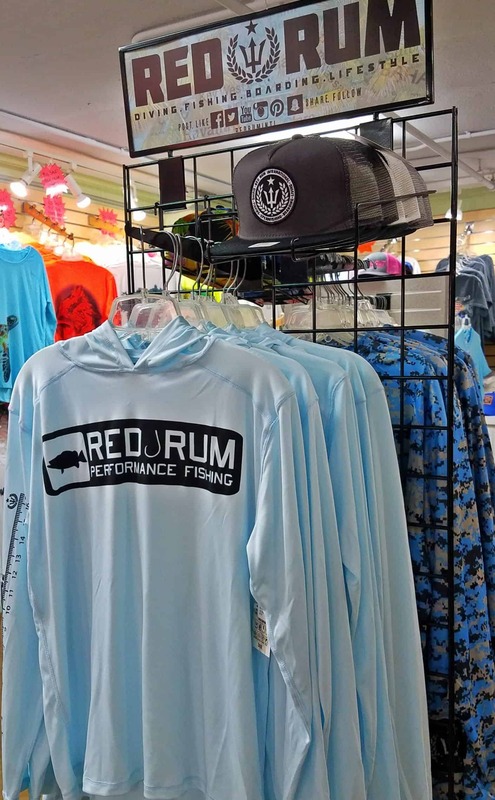 Red Rum International is proud to announce that their famous Hats, Ruler Sleeve Fishing Shirts and Digital Camo Performance Shirts will now be available for Sale in the Hubbard’s Marina Ship’s Store! The NEW Ruler Sleeve Fishing Shirts are UV 50 Sun Protective, light weight and extremely breathable! Not to mention, they also contain a hood for extra head and neck protection. The Digital Camo Performance Fishing Shirts are also an awesome addition to Hubbard’s Store. They are UV 30 Sun Protective, stain resistant and are also extremely breathable! They also double as a great rash guard for all of the anglers who are also divers. 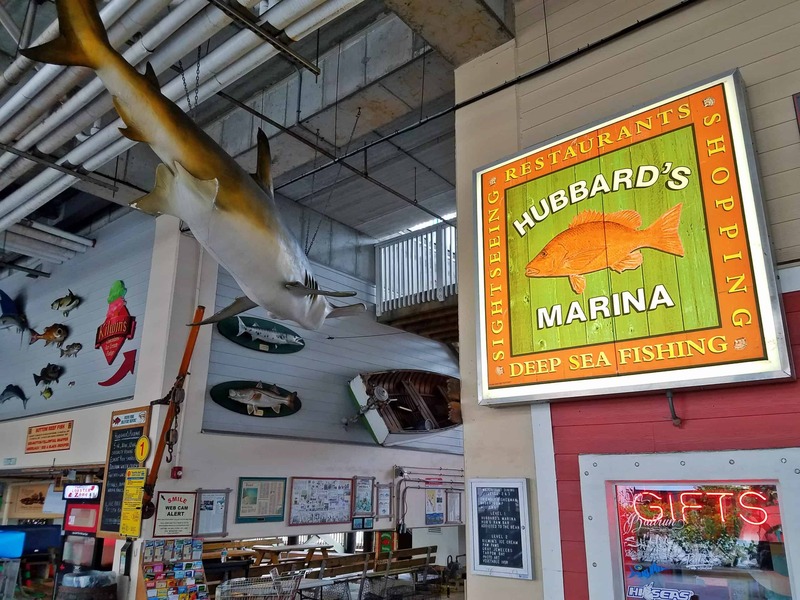 For those of you that are unfamiliar with Hubbard’s Marina, they are a full-service fishing charter operation that has been operating in the waters off Madeira Beach and the Gulf of Mexico since 1928. 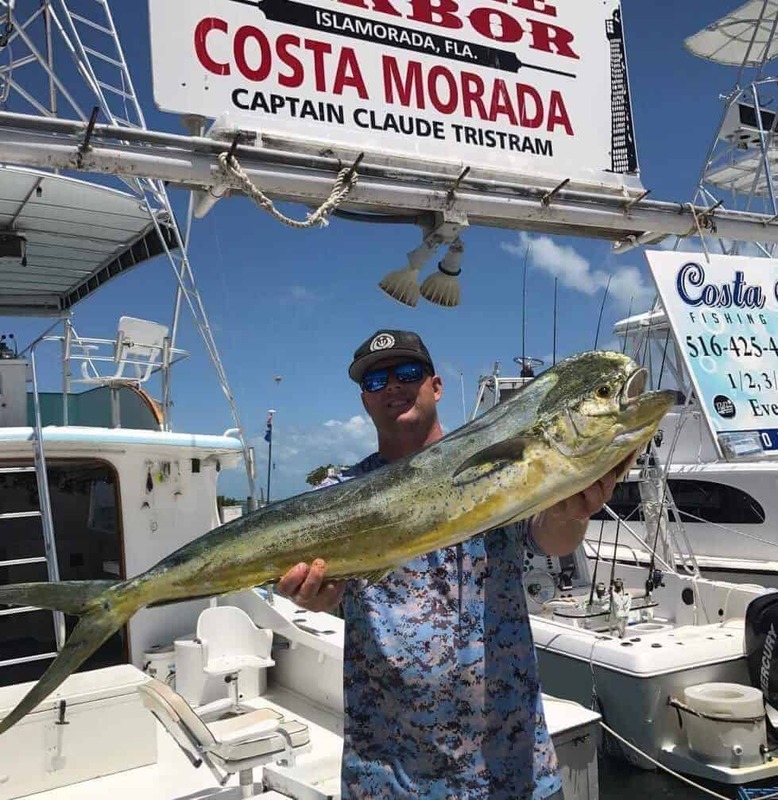 Family owned and operated for 4 generations, they offer over a dozen varieties of fishing trips, on multiple boats, from party boats to private charters. If you are looking for a fishing experience of a lifetime in the Tampa Bay area, look no further than Hubbard’s Marina! Hubbard’s also offers sight seeing, dolphin watching and eco-tours for those who are not interested in a day of fishing. Bicycle, paddleboard, kayak, jet ski and segway rentals are also available for those who want to see the sights for them selves! Feel free to stop by anytime or visit here for more info! 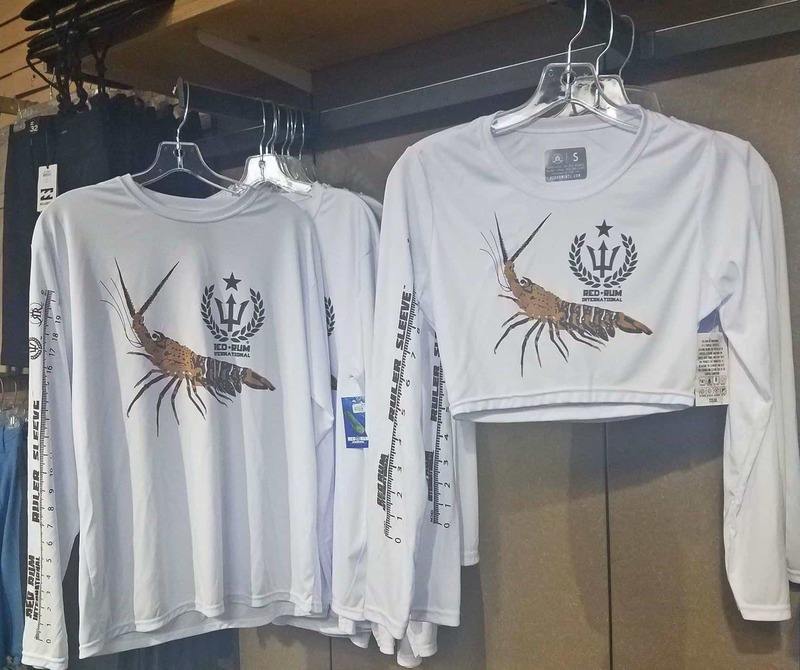 Overhead Surf Shop at John’s Pass in Madeira Beach has re-stocked on the Red Rum Lobster Shirts and performance Crop Tops just in time for summer! These summer-time favorites are the original “Ruler Sleeve” fishing Shirt! UV 30 sun protective, quick-drying and extremely breathable, these performance fishing shirts also double as a great rash guard and lobstering shirt! In addition to these Red Rum products, Overhead Surf Shop also carries a few styles of Red Rum’s floral snapbacks. Overhead is the premier Surf Shop in Madeira Beach and is a must see while visiting the St. Pete Beach area. Its located at John’s Pass, right in the heart of the beach! Red Rum will be Attending the Florida Boat Show at Halifax Marina in Daytona Beach from 5/19/17 – 5/21/17. The Florida Boat Show includes art, vendors, bikini contest, corn hole tournament, live seminars, live music and the world’s most enthusiastic boaters. Hundreds of new boats and quality brokerage boats of all styles are displayed and available for purchase. The broad selection includes power boats, sail boats, yachts, kayaks and marine apparel, marine art, food, accessories and more. If you enjoy boating and/or sailing, live music and food and drinks by the water, than this is an event that you don’t want to miss! The entire show schedule is available here. Show Hours: Friday 10-8 Saturday 10-8 Sunday 10-6 Tickets: $10 Adult KIDS ARE FREE. The 2017 Bikini Contest will be held on Sunday May 21 at 2PM. The 2017 Corn Hole contest will be held Saturday & Sunday at 12pm. Venue Address: 450 Basin St, Daytona Beach, FL 32114. Red Rum International is proud to announce that Conch Republic Divers has added the Conch Republic Shirts to their collection! Conch Republic Divers is located at Tavernier Creek Marina in sunny Tavernier, FL Keys. The dive shop is home to its own charter boat which runs two dive trips a day (Morning & Afternoon). These include reef and wreck trips and are dives suitable for beginners and experienced divers alike. They cover over 24 miles of reef line giving them access to all the best reef and wreck diving from Key Largo to Islamorada. Dive sites along the main reef line include Molasses Reef, Pickles Reef, the Conch Reef System, Davis, Crocker, Victory, and many, many others. Most of these are within 20 to 50 minutes of their dock. Having access to the reef system from Key Largo to Islamorada gives their divers a wide variety of sea life when scuba diving in the Florida Keys. In addition to shallow and intermediate reefs, they also dive the major wrecks in the area, the U.S. Coast Guard Cutters Duane and Bibb, Spiegel Grove and the Eagle. Be sure to check them out when looking to plan your next dive in Islamorada or Key Largo. “We were happy to add conch republic Divers to the retail family! 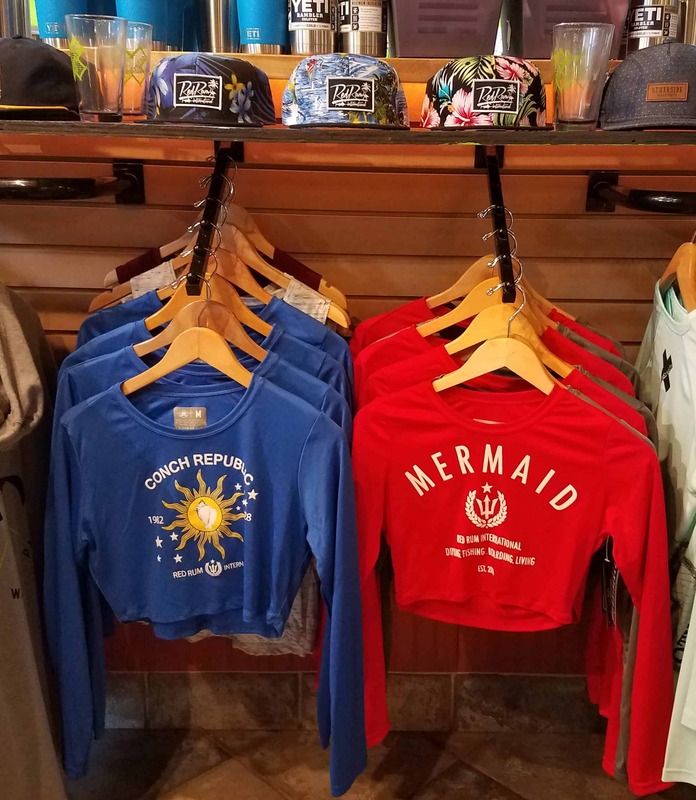 The name alone says it all and that’s why we thought our Conch Republic design would be a great hit among divers in their store”, says artist Daniel Del Sol. 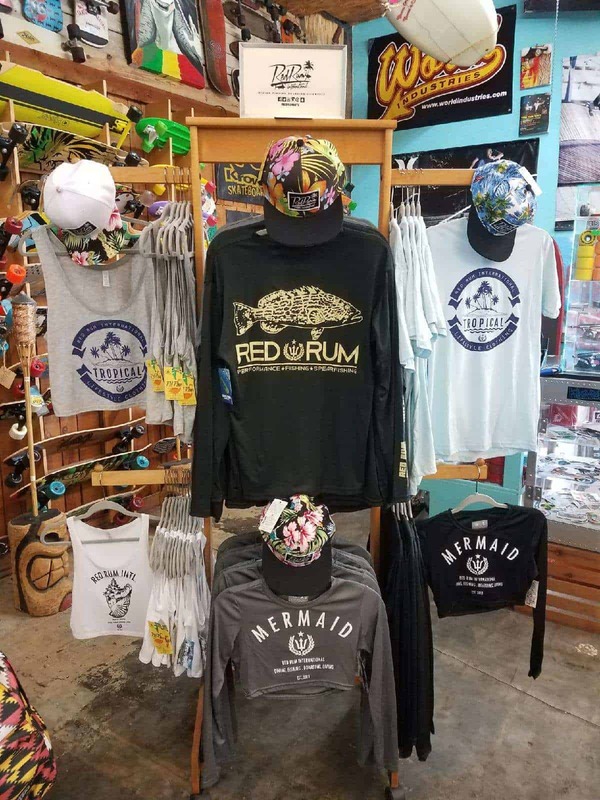 The Full service Dive shop hosts a quaint retail space with a small shirt selection featuring the Conch Republic UV Protective longsleeve and ladies racerback tank tops by Red Rum. The UV Protective Longsleeve shirts are perfect for wearing on the boat and during or after a dive. They also make for the perfect souvenir to either bring back or send a piece of the Conch Republic for you a friend or loved one!